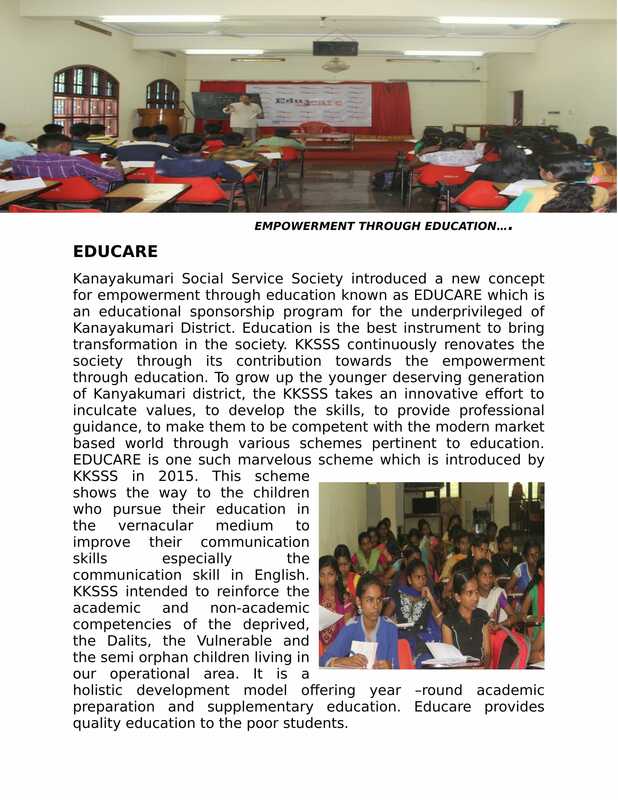 Kanya Kumari Social Service Society, generally known as KKSSS. It was established in the year 1972 with the motto �To Reach Out and Empower� . It registered under Tamil Nadu Societies Registration Act, 1975, S. No.57/1972. 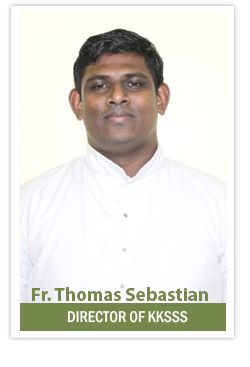 It is an official social development arm of the Catholic Diocese of Thuckalay, Tamil Nadu. The service area of KKSSS covers 9 blocks in Kanyakumari District and 1 block (Shenkottai) in Tirunelveli District. The jurisdiction of KKSSS constitutes 1672 sq.km with a population of 1,863,174. It has mobilized 9000 plus women, men and tribes in to SHGs and federations. 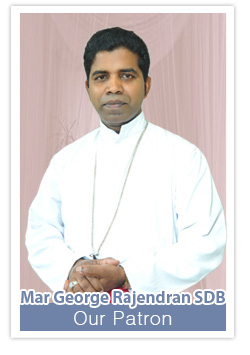 Family Development Programme (SAFP, CANADA). Karunai Illam for the Welfare of Physically Challenged. 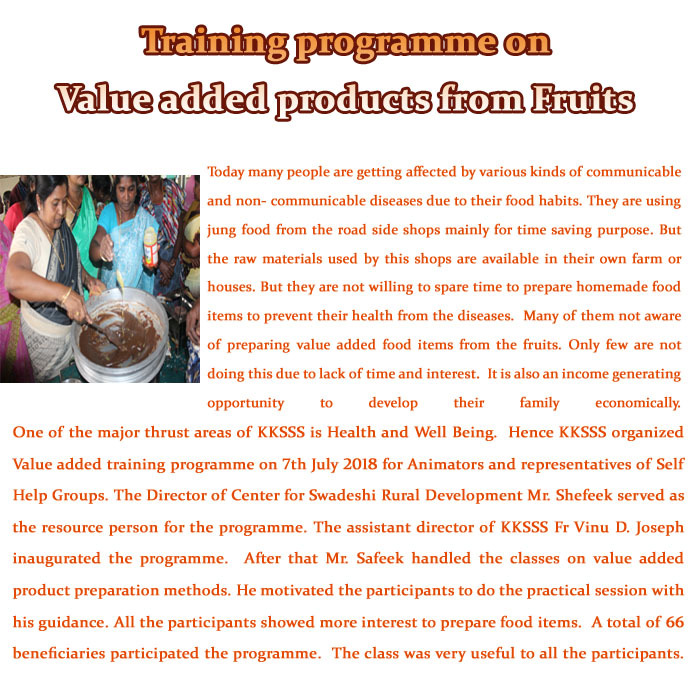 Self Help Groups (Micro Finance, Recurring Deposit Scheme, Small Saving Scheme).